Manchester United have drawn Barcelona in the quarterfinals of this season's UEFA Champions League, and the whole world is waiting to witness this gigantic clash of titans. While Barcelona enjoyed a comfortable ride in the round of 16 as they got past Lyon with a 5-1 win on aggregate, Manchester United, had a roller coaster ride. 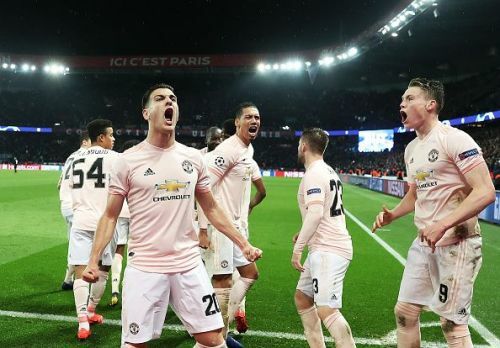 The Red Devils had to dig deep and play with all their resilience in order to beat PSG in their Round of 16 tie. The two teams, with all their history, have an enormous fanbase around the globe. Ardent supporters of these two colossal European units have their fingers crossed for this thrilling two-legged tie. With all that being said, not many will argue against Barcelona being favourites for this one. The Blaugrana have one of the most successful as well as potent squads in Europe, and are tipped as the heavy favourites to lift the trophy this year. But while Barcelona's reputation will make every Manchester United fan shiver in fear, there is no certainty of the fixture going Barcelona's way. Manchester United's heroic comeback in the round of 16 will sound alarm bells for any opposition. To put it in simple words, Manchester United might be vulnerable at times but with Ole Gunnar Solskjaer at the helm, the side is capable of achieving great heights and defeating anyone. United will need someone to drive them, and to be the voice on the field. 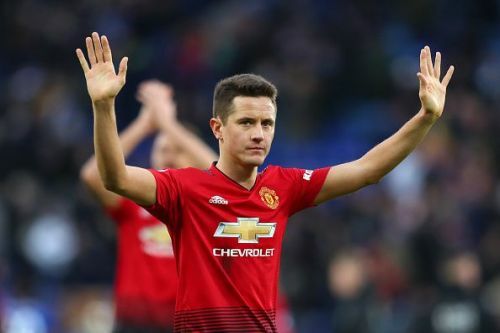 In other words, they need Ander Herrera to have his greatest night in the United shirt till date. The Spaniard is one of the most inspirational figures on the field for Manchester United. His sheer dedication and urge to win have turned him into a fan favourite. Barcelona will surely be enjoying a lot of the ball in their clash against Manchester United in the last 8, and Solskjaer will rely on Hererra to unleash his fire and help The Red Devils get the better of Lionel Messi and company.